The Cavochon is not a pure breed. It’s a combination of the Bichon Frise and the Cavalier King Charles Spaniel. If you can’t decide between the Bichon Frise and the Cavalier King Charles Spaniel, the Cavachon may very well be the right dog for you. The appearance and temperament of designer dogs like the Cavachon vary greatly from one litter to another. But for the most part, you can expect some combination of characteristics from the parent breeds. The Cavachon is smart and eager to learn. It’s recommended that you start your puppy off early with both socialization and training. For the best results, it’s a good idea to keep your training sessions short and fun for your dog so he doesn’t become bored. Use a firm and consistent hand in training so that he doesn’t develop problem behaviors or Small Dog Syndrome. The Cavachon is a gentle and cheerful toy dog. 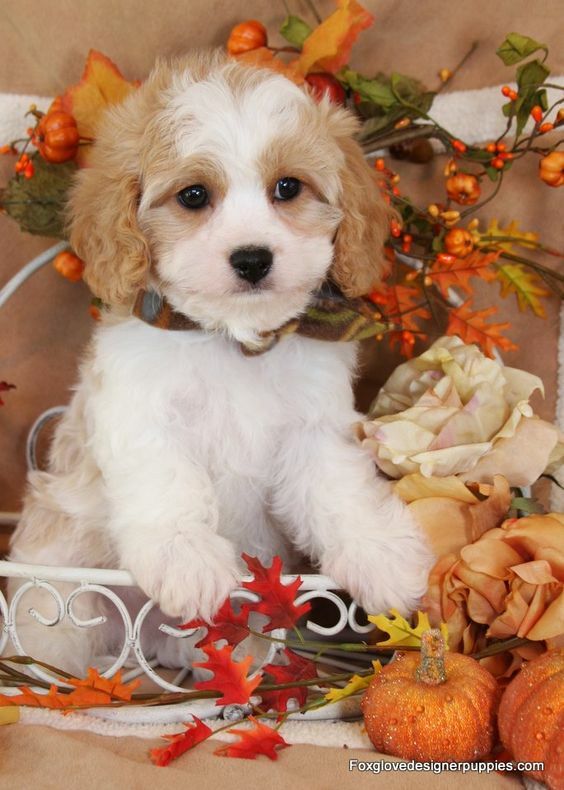 What Price are Cavachon Puppies? The price of Cavachon puppies starts from $700. How to Find Reputable Cavachon Breeders? Some breed clubs offer a list of approved breeders, but not all of them will have certified breeder profiles available. This means you will need to seek out breeders and screen them on your own to make sure you’re getting a healthy, well-socialized puppy. Sometimes the most effective way to find a reputable breeder is through referrals from other Cavachon owners. You can connect with other Cavochon owners or fans through different forums or groups online. However, use caution when making online purchases. There are also breeders that offer puppies with a health guarantee. You will need to ask the right questions so that you can determine whether this breeder is responsible or not. Find out how long a breeder has been breeding Cavachons and how often they have litters. Ask if they breed any other dogs aside from Cavochons, and whether the dogs are socialized. Their dogs should have been checked and tested by the vet and received the necessary vaccinations. Reputable breeders should be able to provide a health guarantee, as well as the dog’s family history. They should also allow you to spend time with the puppies and the parent dogs. They should give you information the puppy’s diet. Reputable breeders should also give you references from their recent sales. 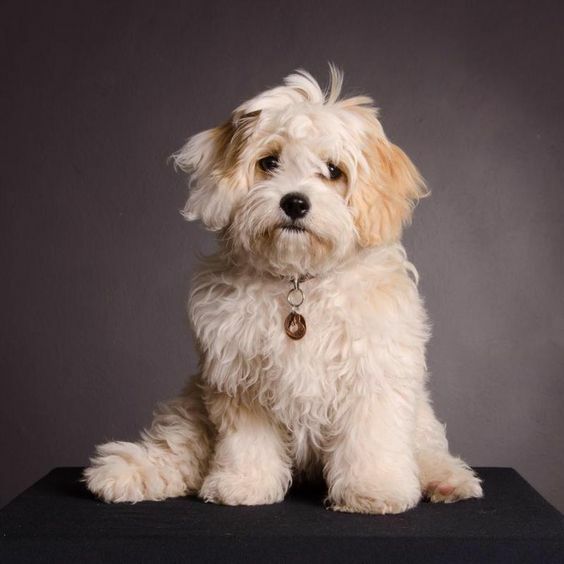 Like his parents, the Cavachon is a playful and intelligent dog who does well with children and other dogs. He has a medium level of energy and is happy enough with a daily walk alongside his favorite humans. But a typical Cavachon is equally at home being a lap dog! The first Cavachons are believed to have been bred in the USA in the late 1990s. He was developed to create a tiny, friendly, and good-natured dog with a hypoallergenic coat. The Cavachon generally gets along well with children as well as other dogs. Cavachons are small dogs, which makes them a nice choice for people who live in small apartments or houses, as well as for people who travel extensively in recreational vehicles. When they are fully grown, they can be 12 to 13 inches in height. Cavachons have soft and silky coats that are slightly wavy. Their colors can be white, white and apricot, white with black markings, or white with tan markings. Cavachons have quite a bit of hair, but they don’t shed very much. These are hypoallergenic dogs to some degree and cause less allergic reactions in people who are allergic to dander. Even if they don’t shed, they are quite hairy. Grooming is a must. Without proper care, their coats can become quite matted and dirty. You need to devote time to brushing him regularly or to paying for frequent grooming care. They may also require trimming from time to time. 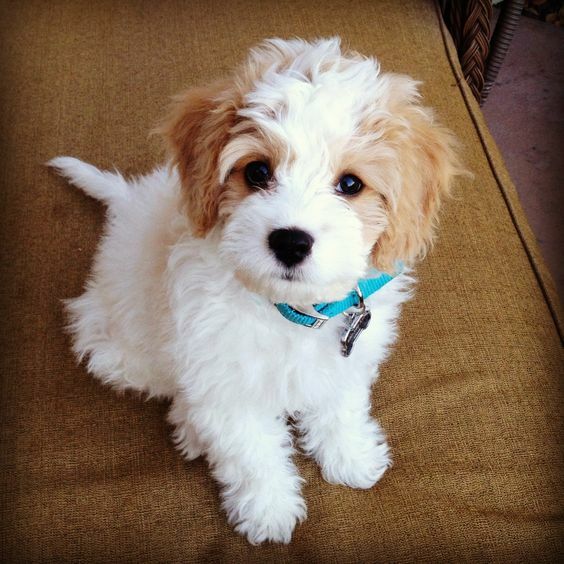 How Big is a Full-Grown Cavachon? Cavochons can grow to 12 to 13 inches in height and weigh 15 to 35 lbs. What is the Life Expectancy of the Cavachon? The life expectancy of the Cavochon is 10 to 15 years. The Cavachon is the mix of the Bichon Frise and the Cavalier King Charles Spaniel. If you’re looking for a threatening guard dog, the Cavochon is not the ideal dog to have. Rather than being aggressive, Cavachons are quite the opposite. They are gentle, accepting, and tolerant for the most part. This makes them an excellent choice as pets for families with kids, as well as for households who own other pets. Cavachons are cute, friendly animals that can make excellent companion animals for the right person or family. They have loving personalities and form close bonds with their human companions. They like to be showered with affection. They crave for human companionship. They like to be active. If you want a small dog that will be a loving and loyal sidekick, the Cavachon will definitely fit the bill. Coming from two toy breeds, Cavachon puppies are still relatively small even when they’re old enough to go to new homes. They need to be handled with care. It’s best to give them a crate of their own so they have a secure place to sleep. They are smart and learn very quickly. But you need to be very consistent during training so that your pup understands what you want from him. Cavachons learn best when the training is initiated very early on. The earlier the pup is introduced to obedience training and socialization, the faster and more effective the results will be. A Cavachon thrives on green, leafy vegetables and fruits, which supply the antioxidants they need. Pumpkin and squash give them fiber, while whole eggs provide lecithin. Sweet potatoes are reliable sources of carbohydrates, while pumpkins may also offer them dietary fiber. There are also dog foods for small breeds like the Cavachon which are readily available at the stores. How Much Exercise Does a Cavachon Need? Cavachons are generally energetic, but not hyperactive. Moderate exercise each day is usually enough to help these dogs burn off their excess energy. A daily walk, a game of fetch, or some other activity will provide some mental stimulation as well. Cavachons tend to share the same health problems that affect their parent dogs or other small dog breeds. They have a proclivity for ear infections because of the hair that grows inside of their ears, so owners need to be prepared to clean the ears on a weekly basis. Watch out for any signs of infection. Use a canine ear cleaning solution several times each week as a preventive measure. If an ear infection does develop, you’ll need to seek veterinary care for him. Typical health concerns to be aware of include eye ulcerations due to hair rubbing the corneas, flea allergies, and heart murmurs. Cavalier King Charles Spaniels are gentle and cheerful toy dogs who generally get along well with children as well as other dogs. Despite their loving ways, they retain an instinctual desire to hunt and chase things. But they can be successfully trained early on to live and let live with smaller animals they may encounter in the yard. They tend to take to the people they meet. Frise, it is unlikely that the resulting Cavachon would serve as a reliable guard dog! The Cavalier King Charles Spaniel is a reasonably intelligent breed, imbued with a canine’s natural sense of curiosity. But he would be content to be his human’s lap dog. His obedient and sweet nature makes him a devoted special needs canine. Early training is highly recommended to help the Bichon Frise learn the difference between seeking negative and positive attention. But his desire to please his owners make him very amenable to training. Like their parent breeds, Cavachons have a reputation as a people pleaser. They are known for their ability to adjust to a variety of living situations. However, a Cavachon pup should be trained and socialized early to get them used to contact with different people, animals, and environments. Cavachons are flexible when it comes to different physical and exercise regimens. He enjoys going on walks with his owner. But being a couch potato also suits him just fine. The temperament and behavior of the Cavachon breed will vary from one litter to another depending on breeding. But for the most part, you can expect him to be a nice and affectionate dog that gets along with children. Like most small dogs, the Cavachon has the capacity to develop Small Dog Syndrome when not properly trained, so be sure to socialize your dog early. These dogs can be loyal and form strong bonds with family, particularly with one member. They make great family pets.